A £22,000 facelift has turned the hospital day room into a welcoming space where patients and visitors can relax and reminisce. 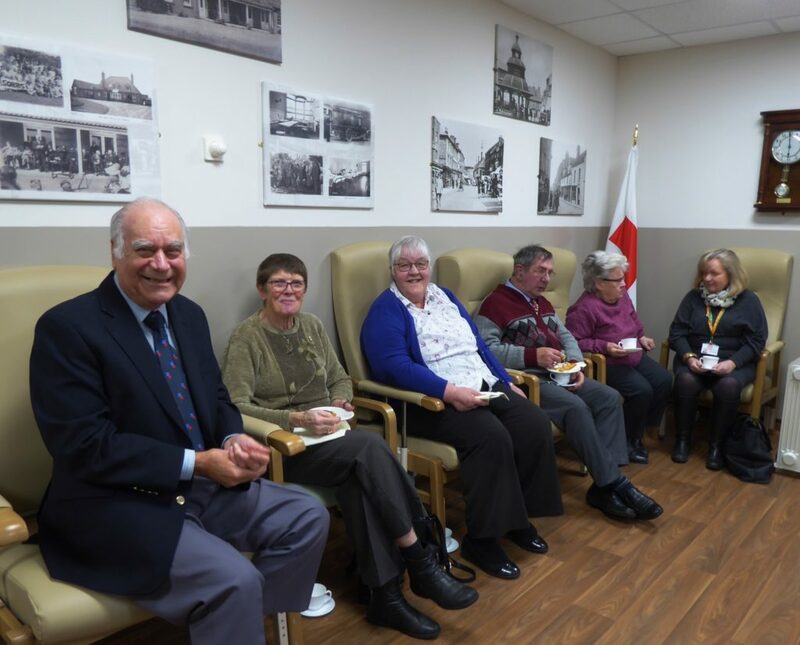 The project at North Walsham War Memorial Hospital was paid for by the League of Friends, which channels public funding donations into “extras” to benefit patients, families and staff. 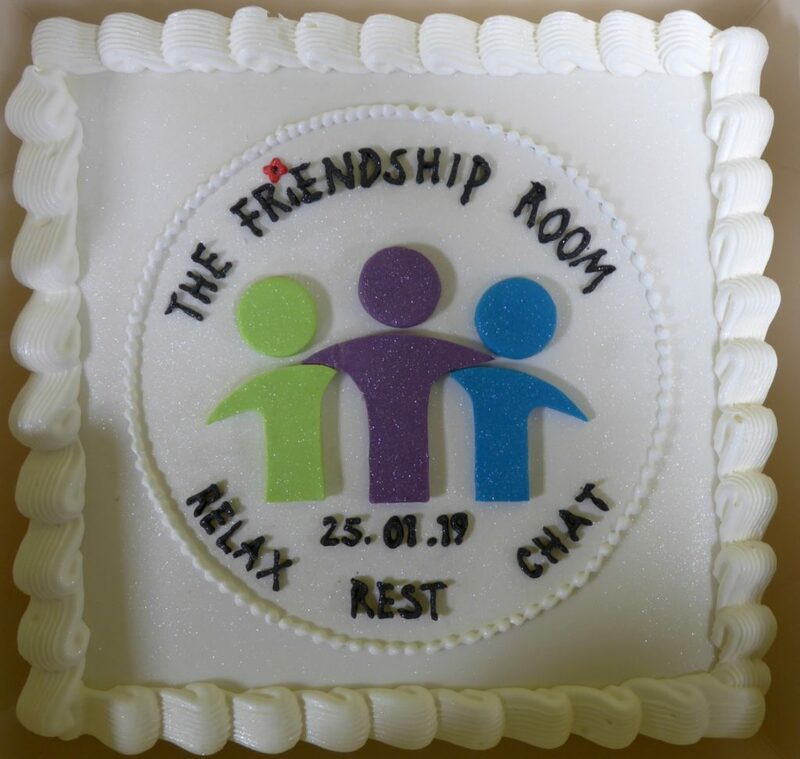 The day room has been renamed the Friendship Room in recognition of the Friends’ work and to reflect its use as space where patients and visitors can relax and chat away from the wards. 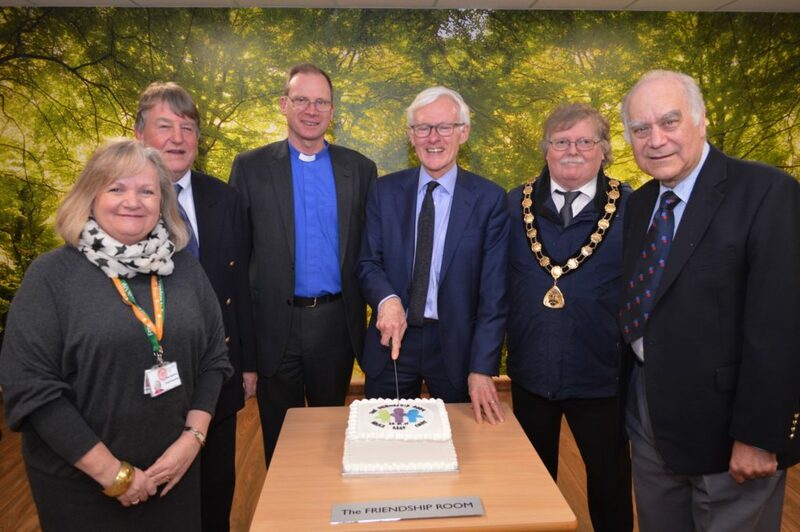 It was officially opened by MP Norman Lamb who said it showed the value of the Friends’ work, and the strength of community support for the hospital. The hospital, which also has social care and clinics such as physiotherapy, fitted the new long term NHS vision to deliver more care closer to people’s homes he added. One wall of the refurbished Friendship Room has been transformed with a giant mural of a sun-dappled woodland, and another adorned with archive pictures of the hospital and town as a conversation piece for patients. 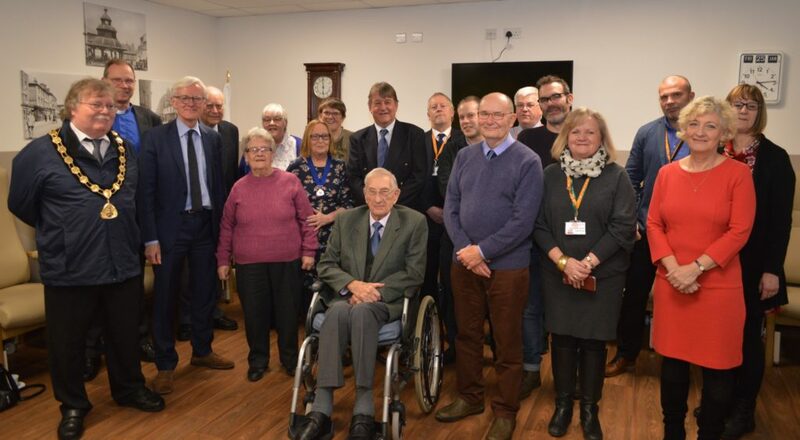 Friends chairman Keith Jarvis said the group was formed in 1949, two years after the NHS and had a proud history of supporting the local hospital – from providing a new training room to Christmas gifts for patients. The day room project also includes a new television, blinds, flooring and furniture. It is also planned to renew furniture in the garden patio area outside the day room, for people to enjoy in good weather. Among the guests at opening was town mayor Barry Hester who has made the Friends his civic charity of the year and has so far raised £2850. The Friends are keen to recruit new members to help them in their work. If you are interested visit the How To Help section of this website. 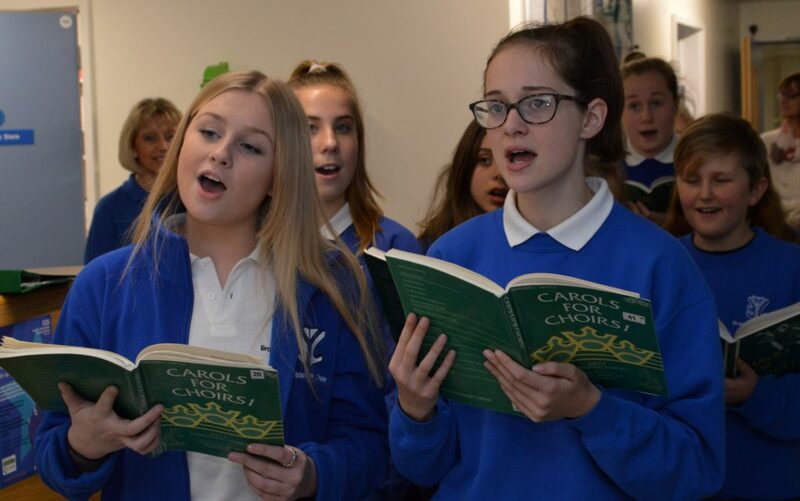 The festive lilt of carols echoed around the wards and corridors of North Walsham War Memorial Hospital as patients enjoyed a seasonal singing treat from talented youngsters. 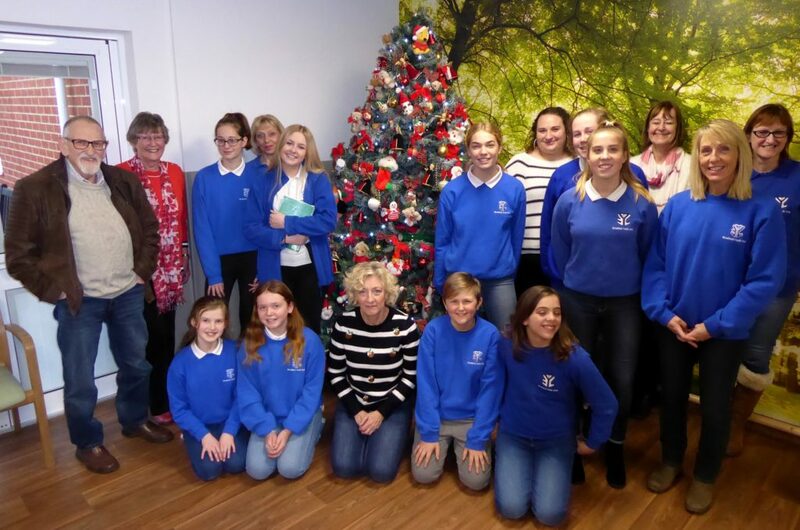 The annual visit by the Broadland Youth Choir is organised by the hospital’s Friends group to bring some festive cheer to those having to spend Christmas in the unit. 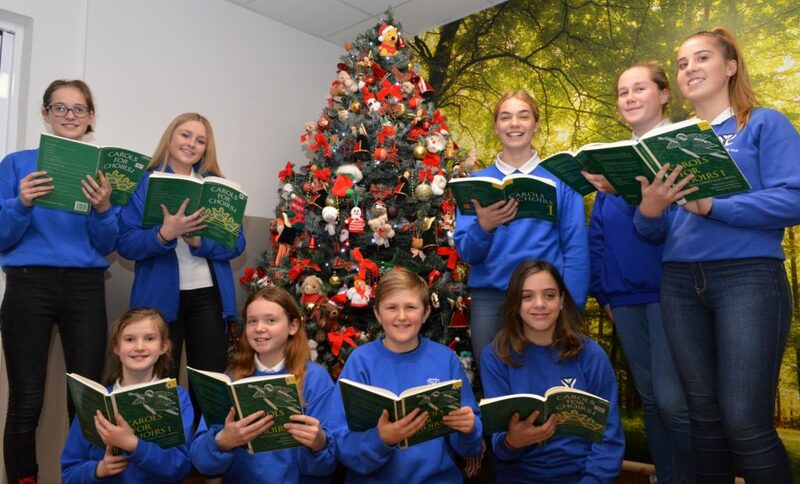 Gentle and upbeat seasonal songs were performed by nine choristers from the choir for 8 to 16-year-olds which is based at Salhouse, and which says its regular visit to the hospital is one of the youngsters’ favourite ‘gigs’. The Friends will be back at the hospital again next weekend delivering festive gifts to patients. 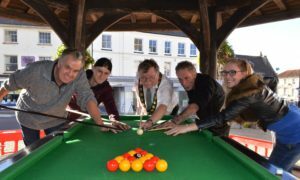 Pool potty fundraisers played for 24-hours non-stop in North Walsham town centre to boost the Friends’ funds. Before the start. Rob Scammell, Phil McCormick, mayor Barry Hester, Callum Tartt and Shelby Evans. 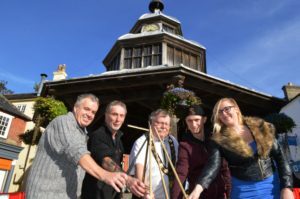 Picture Richard BatsonA four-strong team of friends chalked their cues for a marathon session which saw them sink 5000 balls – and raise £1300 to be split between two good causes. Half will go to the Friends group, supporting its work providing extras and improvements to help patients, families and staff. The rest will go to 20-year-old Sophie Kennedy from Stalham, whose family are seeking to give her a dream Disney holiday break from her three times a week dialysis as she awaits a transplant. The marathon began at 4pm on Saturday (September 29th) and ended a day later. The players, boosted by guest spots from friends, managed to achieve their 5000-ball target by just after 9am on Sunday morning – leaving them to relax and coast in to the finishing time. 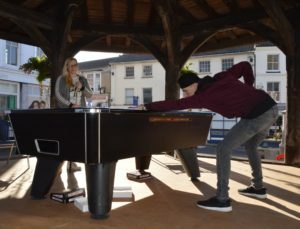 Action took place under the town clock in the Market Place by kind permission of mayor Barry Hester whose official charity in his year of office is the hospital Friends. Mr Hester cued the event off and was there at the finish to congratulate the players. For two of the players, Callum and Phil, there was no respite this week – and they were straight back in potting action just a couple of days later with the start of the new league. The Friends rely on public donations to provide a range of extras at the hospital. The latest project is a revamp of the day room which should be complete in early November. 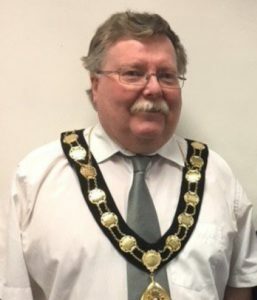 The Friends have got a new friend in a high place – recently- appointed North Walsham Mayor Barry Hester. North Walsham Mayor Barry Hester who is supporting the Friends during his civic year. Picture courtesy North Walsham Town Council. He has kindly made us his charity of the year, and has pledged to raise hundreds of pounds during his time in office. Mr Hester, 60, was mayor two years ago, when he raised £1900, which was split between the local dementia support group – in memory of his mother who lived with the condition – and the parish church First World War window restoration appeal. 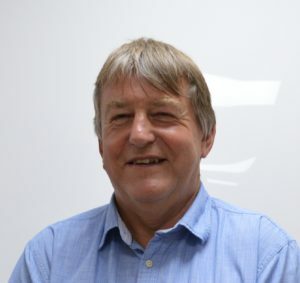 After donning the chain once more, the retired civil servant has chosen the Friends to benefit from civic and town council charity events this year. They will include the civic dinner, Christmas markets, market stalls and tombolas as well as other events he will be discussing soon with fellow councillors and the Friends. Mr Hester, who lives in Corbett Road, North Walsham, said: “I was looking for a good cause to support and it did not take long to choose the hospital Friends. The Friends are currently in talks with the health authorities over plans to improve the hospital day centre and garden patio for the benefit of patients and visiting relatives. A donation to the Friends has been made in memory of a voluntary nurse who used to work at one of North Walsham’s wartime hospitals caring for injured soldiers. 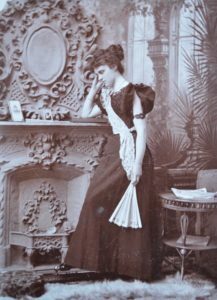 Constance Walker was a member of the well- known Walker family who co-ran Ebridge Mill with the Cubitts. But granddaughter Celia Scott says Constance carried out a voluntary nursing role in at the Red Cross auxiliary hospitals set up in the town to help injured First World War troops. “She was given a beautiful topaz brooch engraved with grateful thanks from the hospital. It is still in the family today –in Victoria, Canada,” said Mrs Scott, 85 a retired occupational therapist from Barton Turf whose family home used to be in Bacton. Mrs Walker was born in North Walsham in 1872, the daughter of local solicitor William Empson. In married life she used to live in a house virtually opposite the current War Memorial Hospital. The hospital Constance worked in was one of two on Mundesley Road set up just for the war. Portrait of Constance Walker, a former voluntary nurse at North Walsham’s First World War auxiliary hospital. Mrs Scott, like many supporters of the hospital, has family connections with its work, as her sister had two babies in the previous unit, which included maternity beds, just after the Second World War. 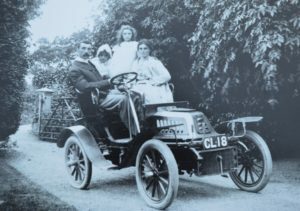 Family pictures show Constance Walker as a young woman posed by a fireplace, and (far right) riding in the family De Dion car with husband George and Mrs Scott’s aunt Beryl and mother Dorothy. If you would like to support the work of the North Walsham War Memorial Hospital League of Friends through a donation send it to the treasurer Carol Willgress, 28 Beechlands Park, Southrepps, NR11 8NT, or call 01263 833733.